Back in 2013, "[c]onventions for structure of a project are not settled yet and therefore projects typically end up with very messy codebase. Additionally, there are many inconsistencies between different browsers, especially when it comes to dealing with Document Object Model (DOM)". That test runner was called Karma... Well, originally it was called "Testacular"... Yes. Seriously. See Issue #376 of Karma's GitHub site. Anyway... Karma -- https://github.com/karma-runner -- was to run the unit tests silently in the background, not distracting the developer needlessly. "This workflow significantly improves the productivity and therefore empowers web developers to rely more on automated testing". "MVC [ Model-View-Controller ] frameworks (eg. AngularJS, Ember.Js) are helping with overall application structure and rising the level of abstraction by offering bigger building blocks. ... I'm still trying to wrap my mind around different uses of Software Design Patterns, so I wasn't able to fully understand about how Vojtěch wrote Karma with an "Inversion of Control (IoC) pattern" and using a "Dependency Injection (DI) framework", which he gets into in his thesis. ... Okay, that makes Dependency Injection a bit more understandable. Thank you, Vojta! What really caught my eye? 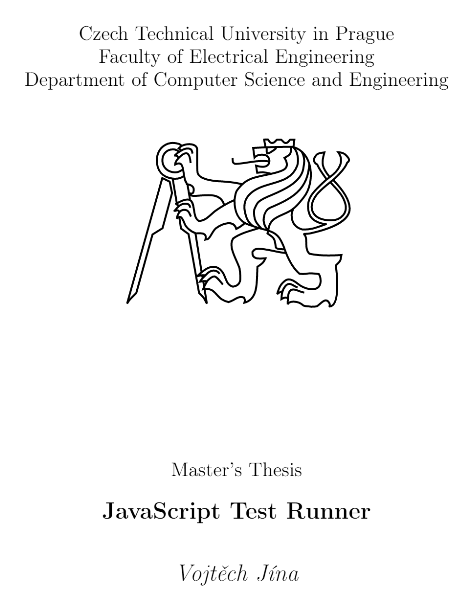 There are chapters on this thesis on my favorite subject of them all: Why you should always test. Of course, it is more geared towards why developers should use Karma to unit test their code, but this applies to why every Agile Software Development team should include an automation developer to add tests to their browser ui regression test suite. Your code is going to be tested one way or another, either by you or your customer. If you automate your tests, they will run more often, giving you more confident the code works as you intended. "[a] Regression bug is a bug that had been fixed in the past and then occurred again. Introducing the same bug into the system again can happen very easily, because very often we do not see some hidden relationships. For instance, we change obviously unrelated piece of code and therefore we do not check some old problem, because we do not expect that problem to occur again. Once we have an automated test for this bug, it will not happen again (at least the probability is very low), because we can easily run all the tests, instead of manually trying only the parts that are obviously related to the change we made. This gives us more confidence when making any changes and therefore it makes things like refactoring easier". The software architecture will need to change and adapt as the project requirements change. "The only way to cope with these changes, is to keep refactoring and adapting our architecture. Unfortunately, refactoring can be very dangerous. It is very easy to break existing code by refactoring and therefore people usually do not do it. Testing gives you the confidence. Tests prove whether the code still works, even after a major refactoring. This confidence is very important, because it empowers people to do refactoring and keep the architecture fresh". "A well written test tells a story - a story about how to use the code under test, therefore tests can serve as a documentation. There is one big advantage over the classical documentation - this documentation will not get stale. 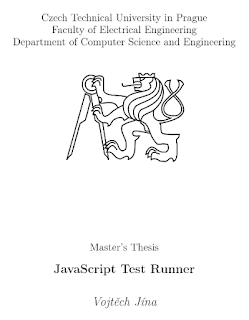 As long as the tests are passing, the documentation is up to date." ... With tools such as Jasmine you can create documentation that always reflects the product as it truly is. // Software QA Engineer since 1996. // Working with Selenium WebDriver since 2014. // Follow Adventures in Automation and Like us on Facebook! Here's to Twenty Years in Testing!